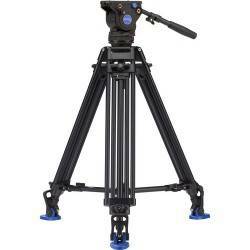 The video system includes the NITROTECH N12 fluid video head (flat base) and the 536 carbon fibre single leg tripod. The NITROTECH N8 fluid video head features state-of-the-art technology consisting in a Nitrogen piston mechanism that allows continuous counterbalance system that enables precise control of a camera and accessories from 4 to 12 Kg @ 55mm C.O.G. The variable fluidity function on both pan and tilt allows smooth, judder-free movement. It also features a 3/8” Easy Link equipped with an anti-rotation function that enables an external monitor or other accessories to be fitted. 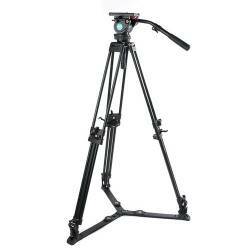 The sliding plate attachment side-lock mechanism allows safe, quick and easy camera attachment. 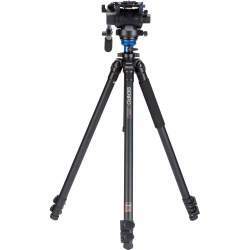 The NITROTECH head has a flat base mount with a standard 3/8” thread that is highly versatile for different support combinations (tripod, slider, rig or crane). The head attaches to the tripod thanks to a 100 mm half ball. Specifically designed to fit the head. 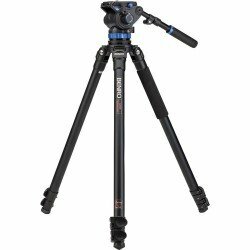 The 536 carbon fibre tripod has 4 sections and ensures great stability combined with an impressive maximum height of 203cm/79.9in. 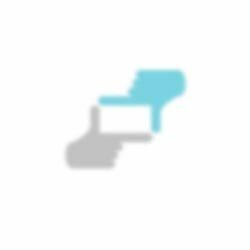 The single tube structure makes it lightweight, ergonomic and easy to use. The 536’s leg angle selectors allow each leg to be set quickly and easily and independently of each other (3 steps: 23°-50°-70°). 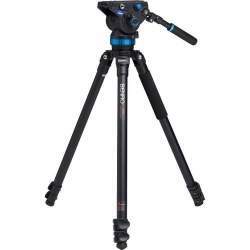 Among the tripod’s key benefits, users enjoy its flexibility in terms of operating height (from 26 cm/10.2 in all the way up to 203 cm/79.9in). Konsultācijas, kā izvēlēties video statīvu. Kurš video statīvs ir labāks? Palīdzība izvēlēties video statīvu no Manfrotto, vai no citiem ražotājiem. Manfrotto Nitrotech N12 & Single Legs Tripod video statīva atsauksmes. 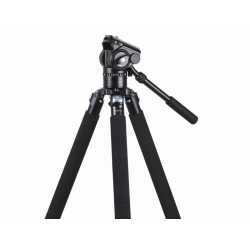 Paskaidrojumi par Manfrotto Nitrotech N12 & Single Legs Tripod video statīva priekšrocībām, plusiem un minusiem. 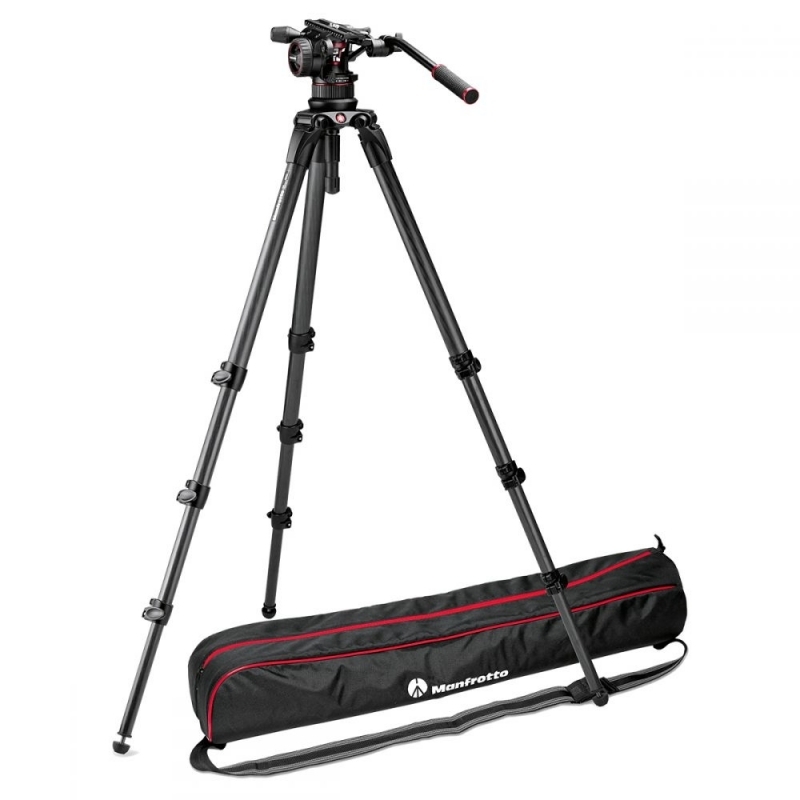 Salīdzinam Manfrotto Nitrotech N12 & Single Legs Tripod ar citiem video statīviem. Konsultācijas, kā pareizi rīkoties un labāk izmantot video statīvu. Individuālas apmācības, kā lietot video statīvu. Manfrotto video statīva sagatavošana darbam - konfigurācija, kalibrācija, programmatūras uzstāsīšana vai atjaunināšana. Projektu, tāmes un iepirkuma dokumentu sagatavošana, kur ir iekļauti video statīvi. Nodrošinam Manfrotto video statīva remontu un piegādājam rezerves daļas priekš Manfrotto Nitrotech N12 & Single Legs Tripod. 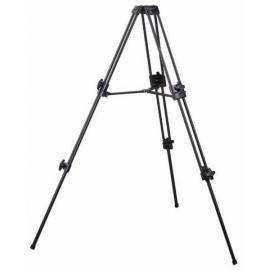 Pasūtot Manfrotto Nitrotech N12 & Single Legs Tripod no Manfrotto ražotāja, tās piegādes laiks parasti ir 6 - 10 dienas.